Ultimate Sock Yarn is tough stuff! It’s High Twist 80% Superwash Bluefaced Leicester Wool (a British breed) and 20% nylon for added strength and essential for your hand made socks. Each skein is 100g/365 metres and are sold individually - price is per single skein. 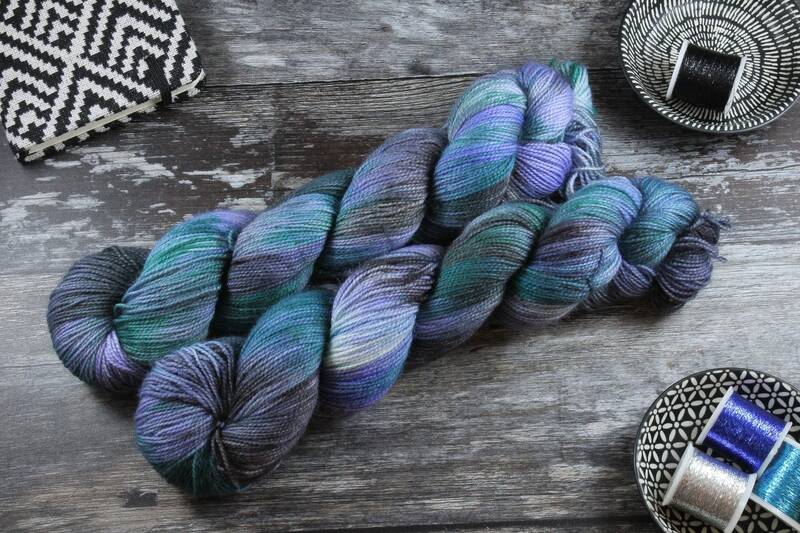 Each skein is slightly different and unique due to the nature of the dyeing process. The yarn will hold up fine in the washing machine although I would recommend a cool wash to maintain the colour vibrance. Please feel free to get in touch if you’d like to discuss a custom order!